Dynamic is striving to be ahead of fashion and color and make a fashion statement in the market . Our aim is to provide and supply the customer with a large selection of trendy , commercial, and actual products. 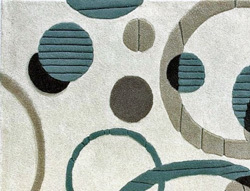 For this, DYNAMIC RUGS has teamed up with designers from around the world to bring you the latest product development. Dynamic Rugs designers have extensive experience in fashion and textiles. Their experience has provided us with new ideas and product sources, while providing the look of our products with uniquie designs that only Dynamic Rugs designers could provide. At Dynamic, it is our goal to provide service, value, and fashion to the home furnishings market place.